Though the 'Winchester' movie might be pretty scary, the true story is quite weird itself. Fans of supernatural horror movies rejoice. The premiere of Winchester is fast approaching on Feb. 2. 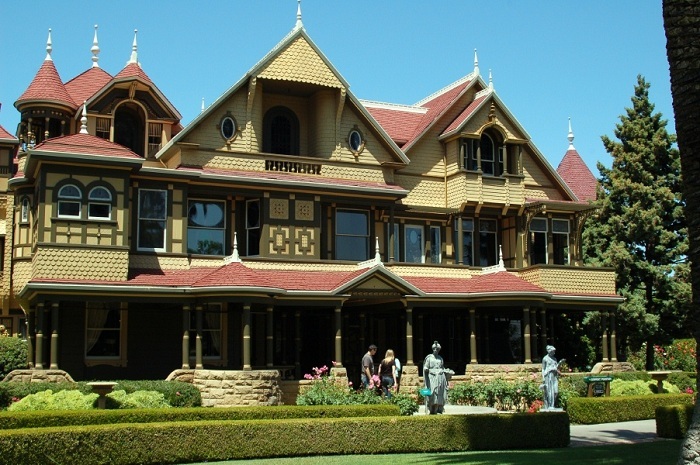 Starring Helen Mirren, the movie tells the story (sorta) of the Sarah Winchester Mystery House in San Jose, Calif.
Based solely upon its exterior, the house looks like any other sprawling northern California mansion. Its sea of red roofs and beautiful gardens may even appear inviting. 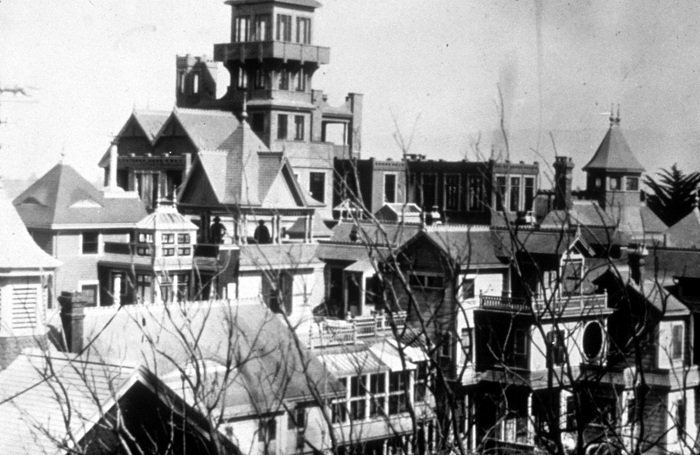 Yet take a tour through the nearly 160 rooms and you’ll see why the Winchester Mystery House, constructed over 38 years by Sarah Winchester, is one of the creepiest homes the world. 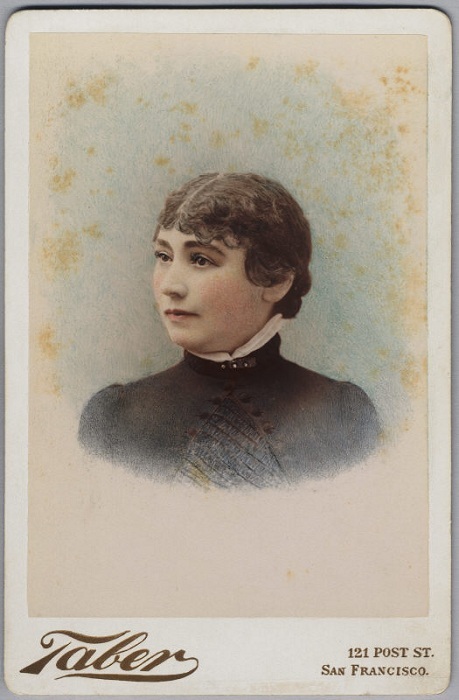 Born around 1840, Sarah Winchester grew up in a world of privilege. She spoke four languages, attended the best schools around, married well, and eventually gave birth to a daughter, Annie. However, tragedy struck in her late twenties when Annie died, followed by the death of Sarah’s husband William more than a decade later. As the story goes, Sarah Winchester sought advice from a spiritualist who warned that spirits would haunt her unless she built a home for them. He assured her that as long as she kept building, she would be safe. Luckily for Sarah, she had plenty of resources to take on the monumental project since she received a hefty inheritance following her husband William’s death in 1881. That would be William Wirt Winchester of Winchester firearms. Upon his death, Sarah was bequeathed a 50% stake in the company, $20 million dollars ($507 million today) and a $1,000 daily allowance ($25,000 today). Sarah was known for her capricious nature, which resulted in haphazard remodeling, building over old rooms, or sealing off unused spaces. 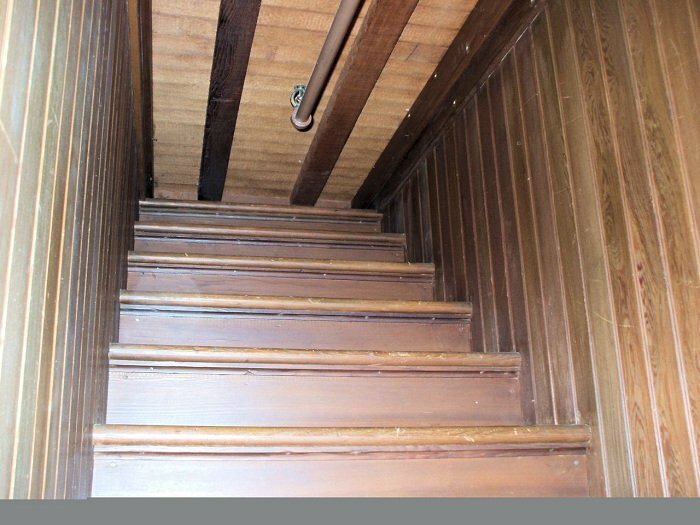 For instance, the Winchester Mystery House contains multiple stairways that end abruptly and lead nowhere. Sarah was known to be very generous, paying her builders well and donating to local charities and organizations. She was also very peculiar. Winchester spent much time in seclusion and workers frequently noticed her acting odd, which they blamed on her fear of spirits. According to some, she slept in different rooms each night to confuse the ghosts, and often meandered through the house using secret passageways so that no spirit could follow. While known best for its spooky history and baffling construction, the Winchester Mystery House is also known for its beautiful parquet floors constructed from mahogany, rosewood, oak, and other woods. Beautiful art glass windows, incredible ballrooms, and the best furnishings money could buy all contributed to the house’s stunning reputation. 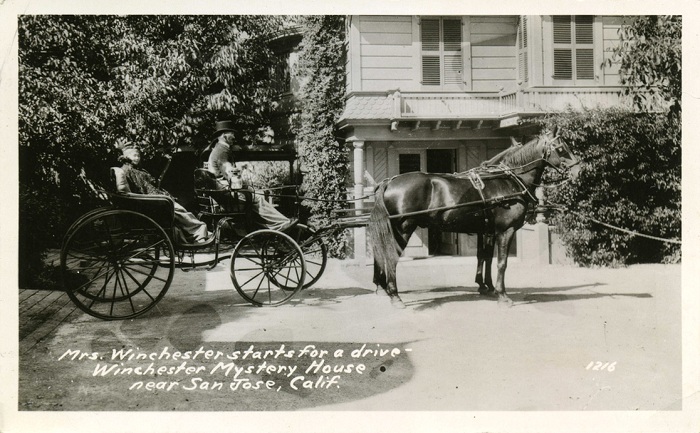 In September of 1922, Sarah Winchester died, leaving behind a house comprised of a staggering 160 rooms, 10,000 windows, 47 stairways, 47 fireplaces, and 2,000 doors. 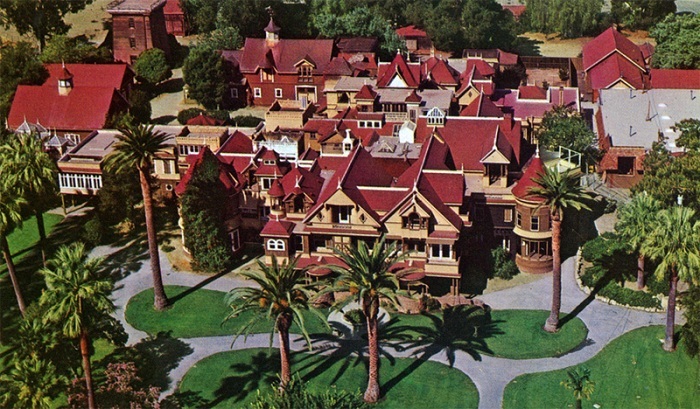 Since her death, little has been uncovered about Sarah Winchester and the reasoning behind her obsession with building the Winchester Mystery House. She gave no interviews, left behind no journals, and had no family willing to speak about her.